1 buildings, 22 residential units. elevator. backyard. loungers. parking lot. fee payable: bakery service, washing machine. with modern furnishings. kitchenette. 4 electric cooking plates, refrigerator with freezer, microwave, coffee machine, eating nook. shower, toilet, hairdryer. satellite TV, German channels, wireless LAN. district heating. safe. balcony. 3-room apt.. living / bedroom, 1 double sleeper couch. bedroom, 1 double bed.bedroom, 1 double bed. 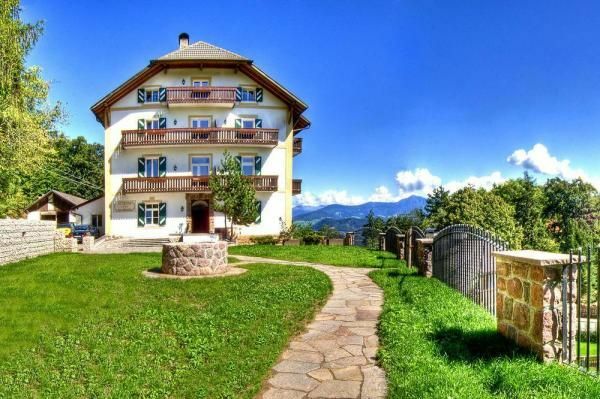 town center 600 m, pharmacy 600 m, supermarket 600 m, restaurant 150 m, bathing 6 km, lake Wolfsgrubenersee 6 km, mountain railway Rittner Horn 8 km, location Bozen 16 km. In winter, bookable at/on : IDO01540. Im benachbarten Sporthotel Spögler (ca. 150 m entfernt) können Sie Verpflegungsleistungen (Frühstück, Halbpension) gegen Gebühr in Anspruch nehmen.